Baby’ boy’s first birthday is the most special event that is celebrated in a grand scale. If you are searching to give a unique gift, just click on PinkBlueIndia website and you will find many unique gifts, designs and fun clothes to choose. 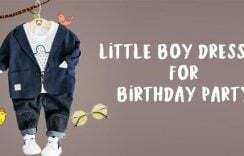 PinkBlueIndia has ready-made and custom-made dresses for gifting for baby boy’s first birthday. 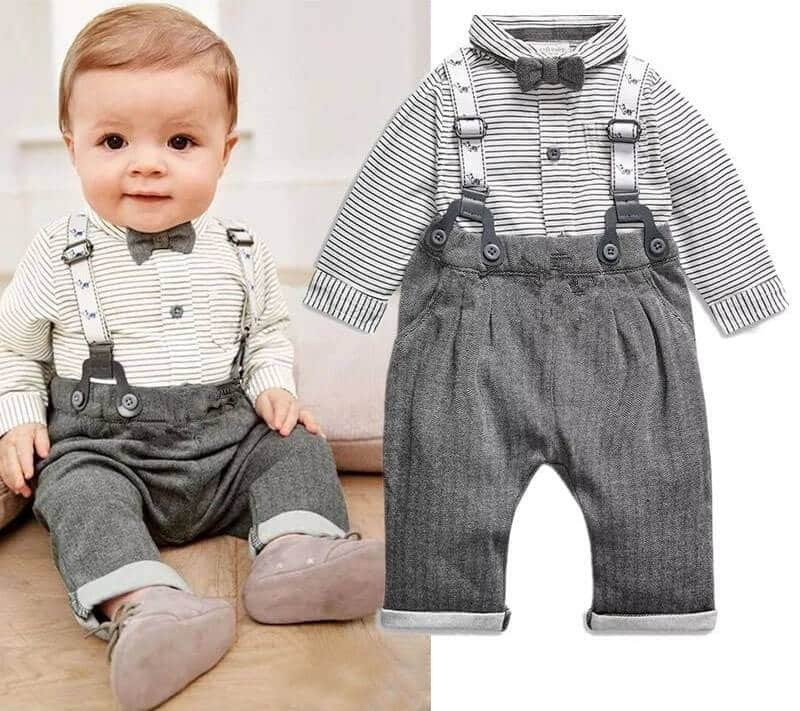 This store has a variety of stylish baby dress, rompers, clothes, party suits, cake smash outfit and Customized T-shirts designed especially for Newborn, Infants & Toddler boy. 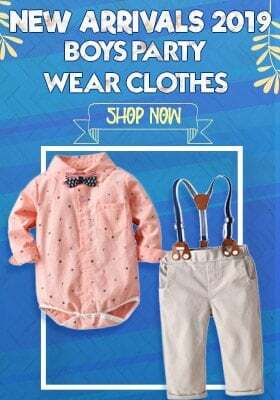 You can gift these amazing collection of first baby clothes to any newborn in your family or in your friends’ circle from PinkBlueIndia. This store has made gifting easy for those living in USA, UK, or Australia. 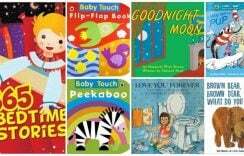 They can gift these new born or first birthday gifts to their friends or relatives, blessed with new born or celebrating 1st birthday. PinkBlueInida gives an option to free gift wrap each gift individually. If you have many gifts to be sent to India, the store does a free gift wrapping collectively too. This White shirt with a grey pant with Y-suspender and bow tie is a right choice for first birthday gift set. The suspenders are adjustable and can be removed to give a different look to the dress. 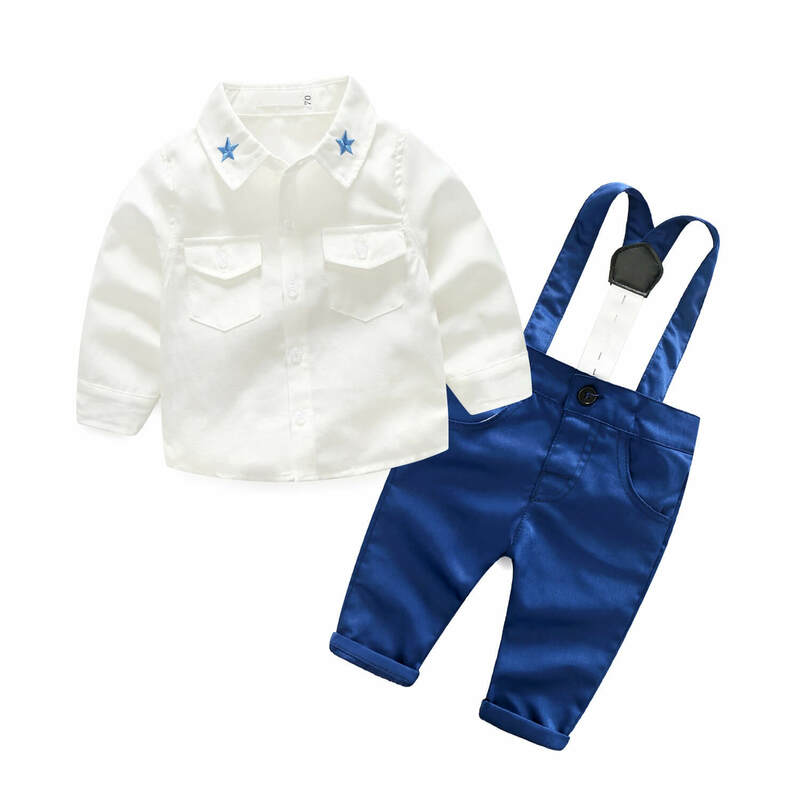 The bow and suspender are perfect accessory for new born baby’s clothes. This dress suits family celebrations, weddings, and other functions too. 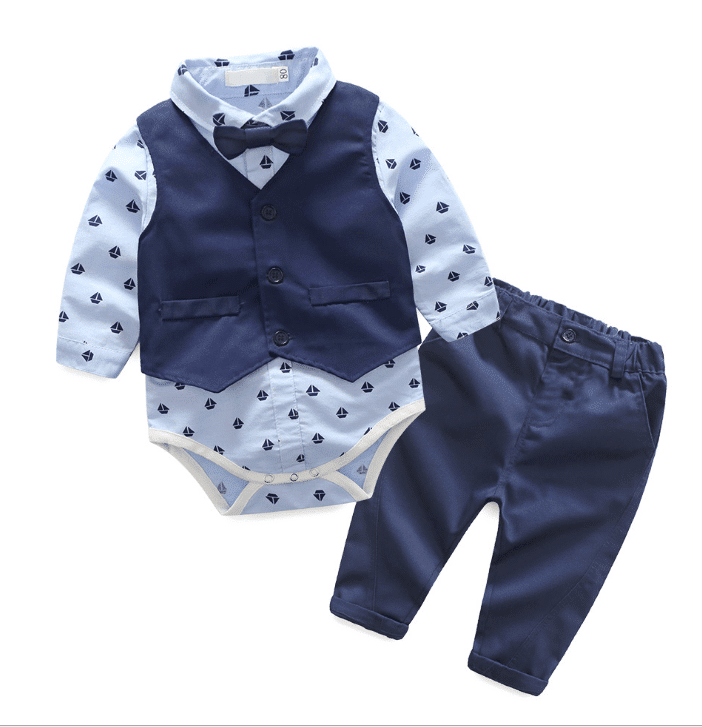 This 3-piece Onesie Outfit Set is a perfect first birthday dress. This dress has a long sleeve grey shirt and wine Pants. 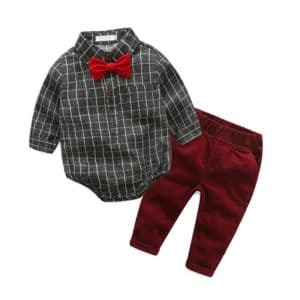 It comes with elastic waistband and matching bowtie are Removable and Adjustable. This Infant boy’s dress is very comfortable and has a soft feel. This long sleeve onesie four-piece set will make your kid look fabulous. The pant has elastic which is self-adjustable and will fit well. 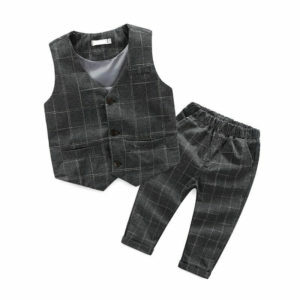 The vest has fancy buttons on the front and bow tie is detachable. 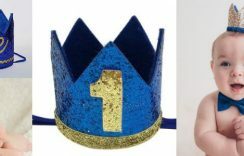 He will look adorable and picture perfect at his birthday party. The little gentleman suit has a Bow tie Shirt, and with Suspender which is adjustable. The bowtie comes in a matching color and fabric and is removable and adjustable. Different sizes are available for infants and kids. This dress is apt for weddings, parties, and all occasions. 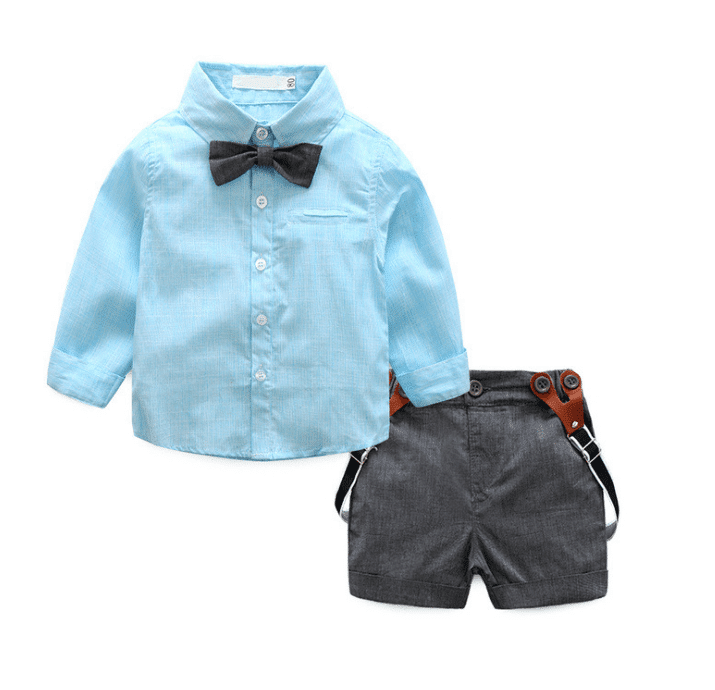 This is a lovely color combination of grey suspender shorts and pink Bow tie t-shirt. The suspender straps are adjustable. The fabric of the outfit is very soft and comfortable. The pink shirt comes in long sleeves and woven buttons. This is just perfect for a wedding and any party. This dress is a perfect choice for your son’s first birthday. This dress has a white shirt, a pant and a broad Y strapped royal blue suspender. It has a nice royal look. Suspenders are removable and adjustable. The bow-tie is also removable. This dress is suitable for the first birthday party and also for weddings. This dress has a very European look. The wine colored Tartan waistcoat gives a very stylish look to your kid. The back side of the waistcoat is adjustable. Pants come with an elastic waistband which fits well with your kid. This is a perfect choice for any party. This dress is the best wedding attire for little boys. The Grey Tartan waistcoat has a Scottish look. The back side if the coat is adjustable. The dark color pant has an elastic band. Your baby will be very happy and comfortable with this outfit. Your baby will look stylish in this outfit. This outfit is available for 0-6 months, 6-12 months, 12-18 months, 18-24 months, 1-6 year old boys.